There are days when you want to eat clean and green, and then other days (most days?) 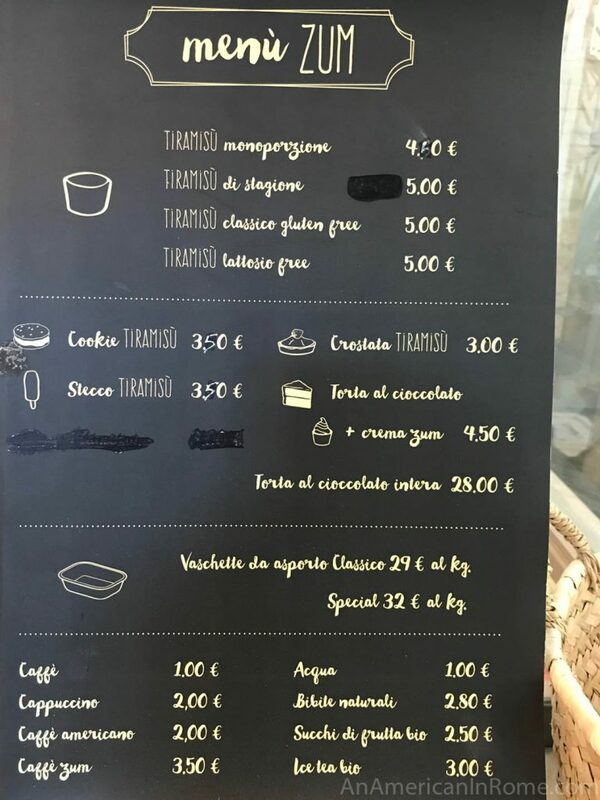 when you want to dig into a personal-sized tiramisu while wandering the streets of Rome. 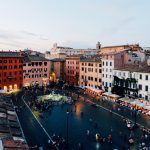 For those more important days, there is ZUM – a dessert shop near Campo de’ Fiori. 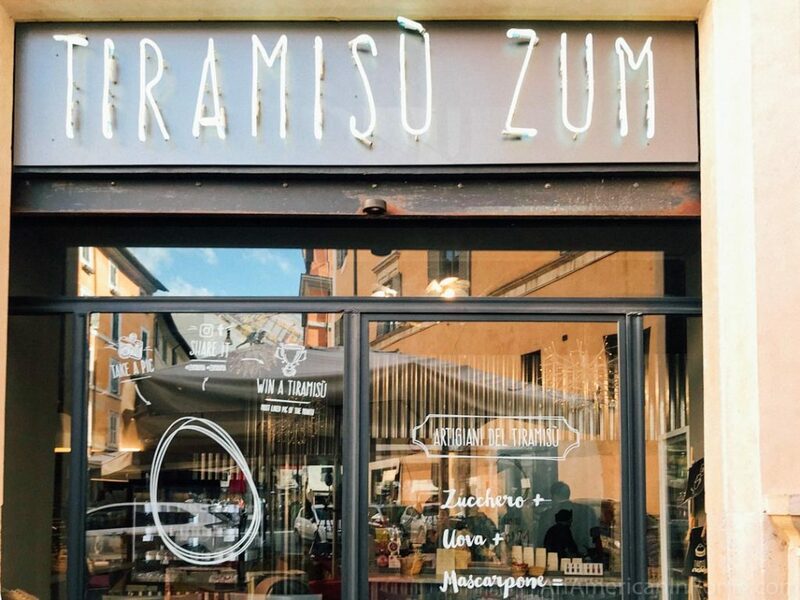 ZUM stands for the three main ingredients in tiramisu: zucchero (sugar), uova (egg), and mascarpone (a kind of light, soft cheese). In this case, all the ingredients are also organic whenever possible. 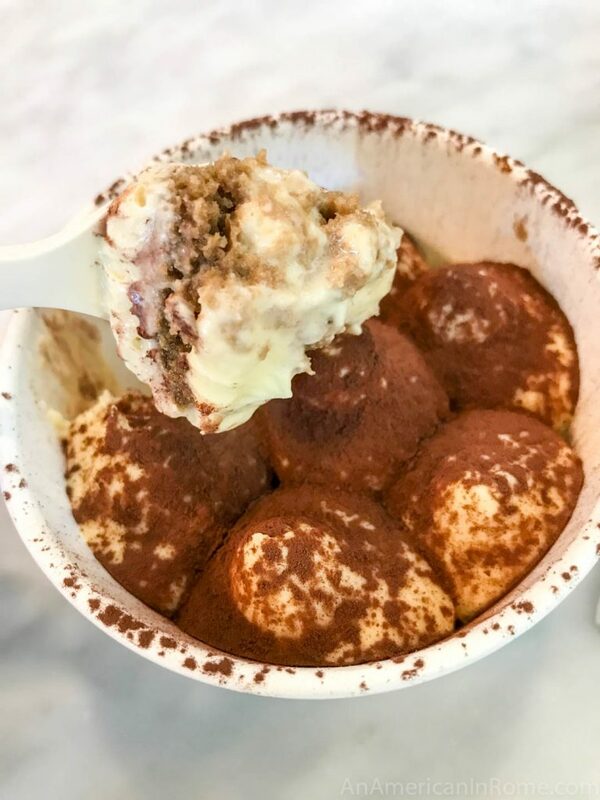 The classic tiramisu comes dusted with cocoa powder and is technically probably large enough to share buuuuut I would suggest keeping the entire thing for yourself. Other flavors are less traditional and come with pistachio, berries or a monthly flavor. Gluten and lactose-free versions are also available at a slight (50 cent) surcharge. 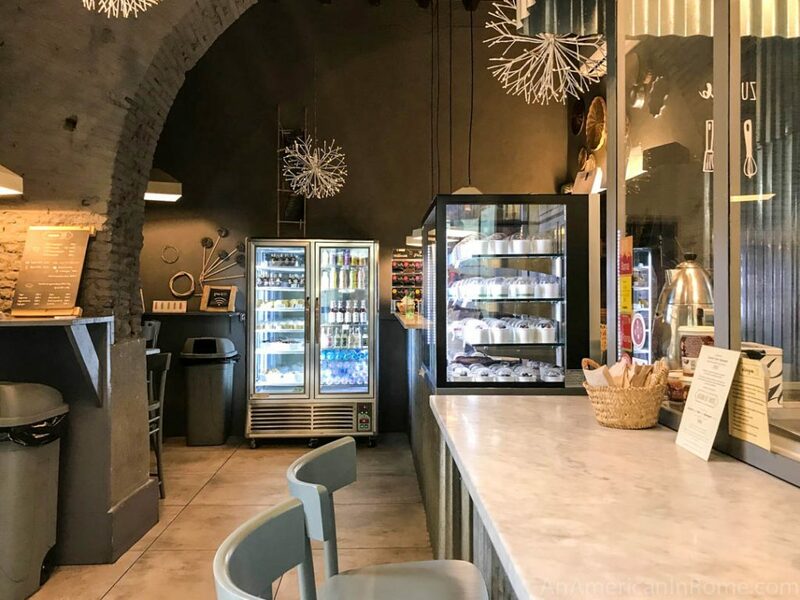 The kitchen is clearly visible behind a glass wall as you walk into the small shop (which is essentially across the street from Piazza Navona). 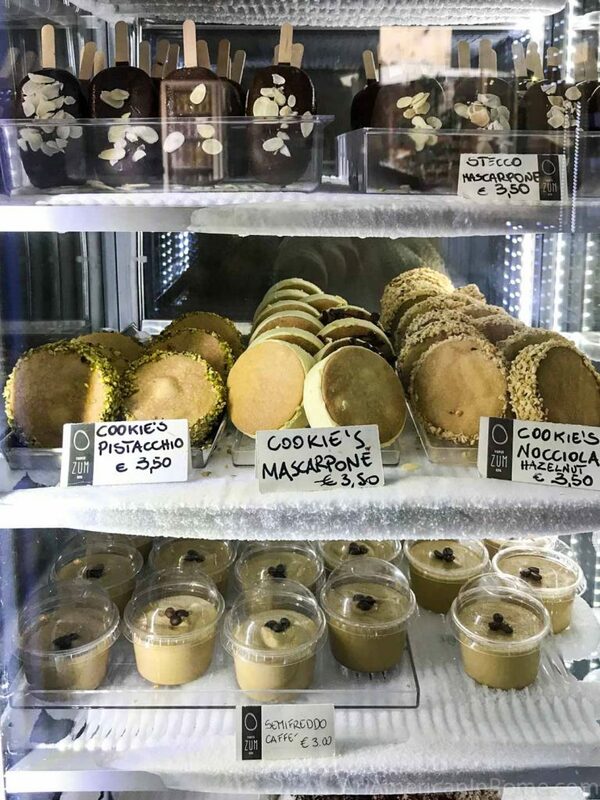 The mixers seem to be perpetually whirling to whip the mascarpone and the window into the workspace also goes to show there’s nothing to hide. 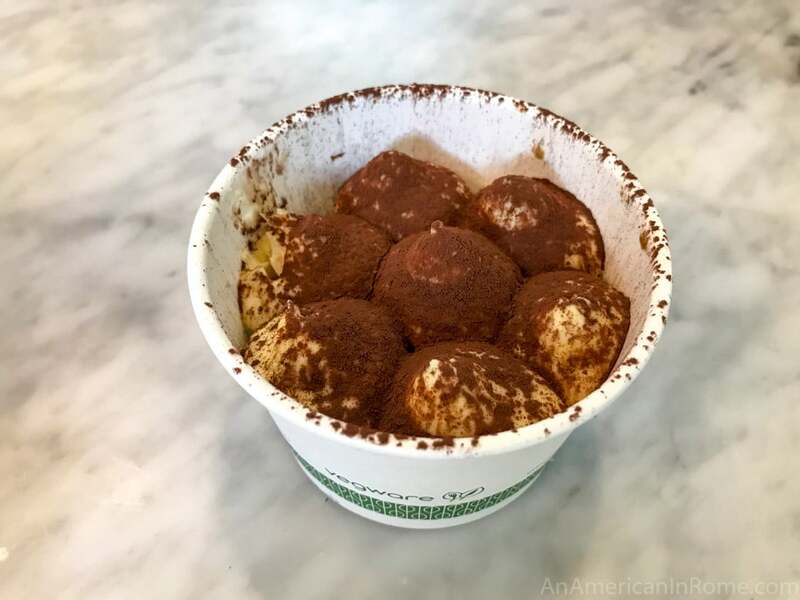 In addition to tiramisu, ZUM has other sweets all based around the famous Italian dessert. You can also find cookies and popsicles in various flavors in the fridge near the register. 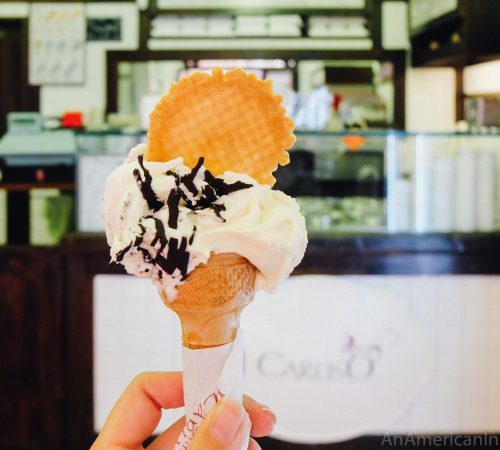 If you are looking for dessert in the Campo area and need a gelato break (is that a thing?) then ZUM is a great option. I love ZUM because even when I have a whole portion, I feel like I’ve indulged but it doesn’t hit you like a bomb that weighs you down for the rest of the day. 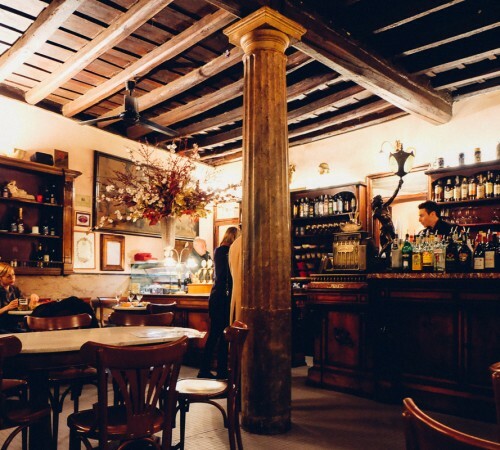 BUT I think my favorite tiramisu in Rome is at Flavio al Velavevodetto because of the chocolate. 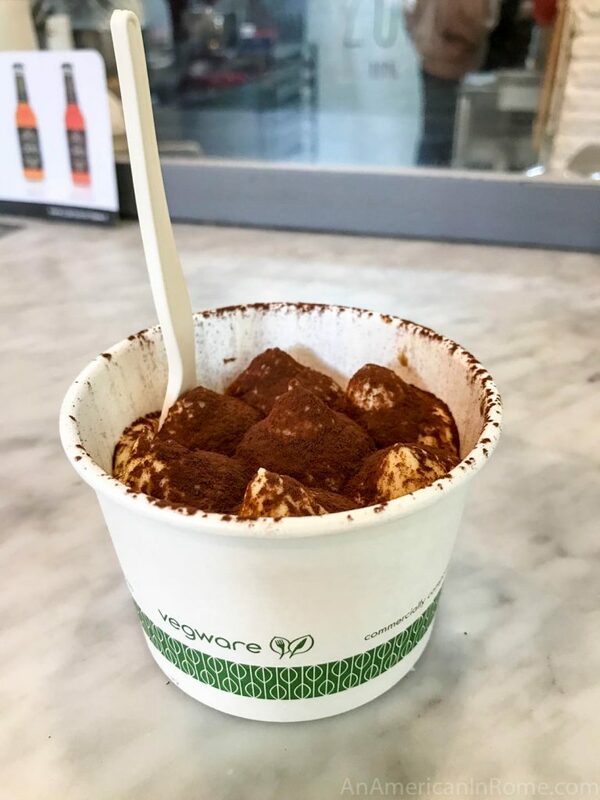 I know that the tradition tiramisu comes with just a bit of powder but I love the Velavevodetto version topped with melted chocolate. Side note: keep in mind that the egg yolks that are traditionally used to make tiramisu are not cooked. 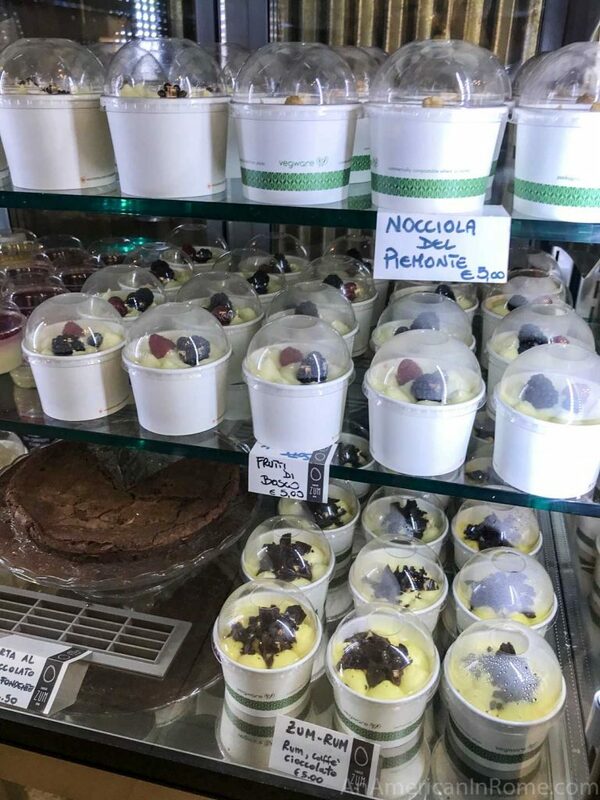 That means that this dessert is not recommended if you are traveling to Italy while pregnant. Sad, I know. 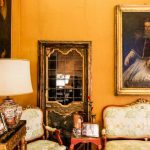 I made do by learning how to whip it up myself when I took a cooking class in Tuscany. Open 11:30 am – 11: 30 pm every day (and until 1 am on Friday and Saturday nights). This was one of our favorites during our travels. 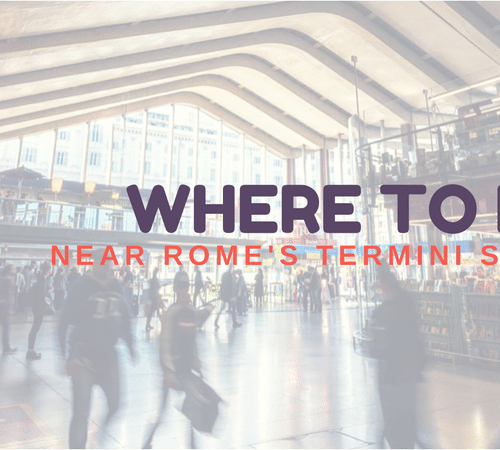 I was wishing we could have returned a time or two before we left Rome. It is definitely worth highlighting for their fresh ingredients and incredible smooth texture and taste.